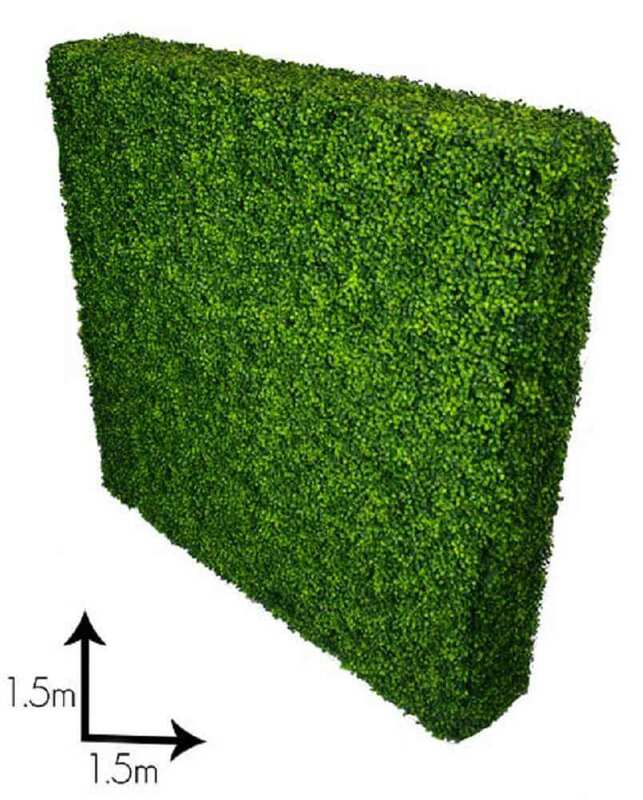 Large Portable Box Wood Hedges 1.5m high by 1.5m wide + foliage of around 4-5cm each side (planter sold separately). 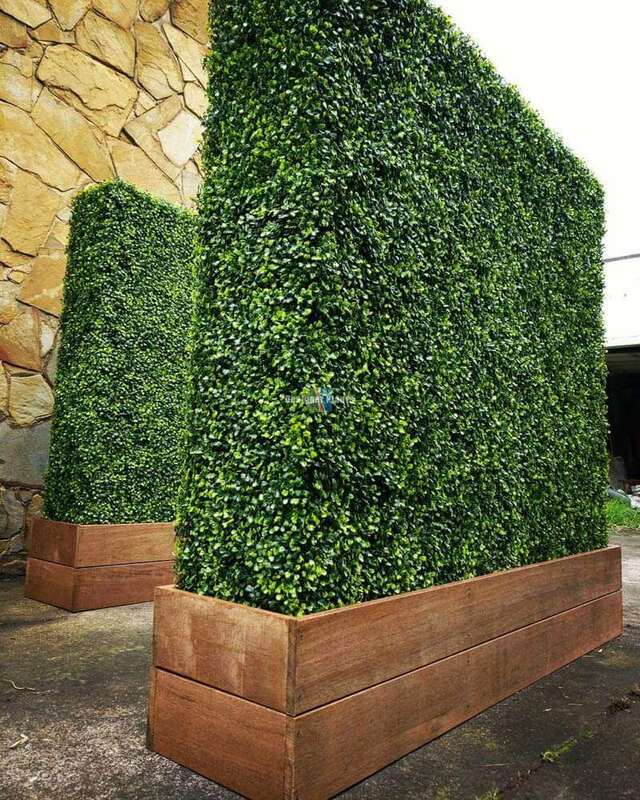 These boxwood hedges are the perfect solution to adding instant greenery, and getting instant privacy. 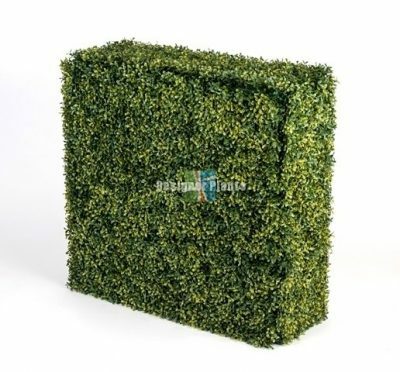 Perfect for use as an event backdrop to provide a wall of greenery. This topiary hedge requires no maintenance and is guaranteed to last outdoors for years, and is the perfect solution to screen any area. Planters not included, however, we can custom make timber planters to your specification. 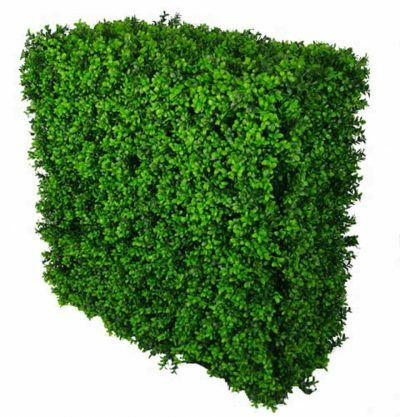 We have the stunning deluxe buxus in stock in the same size here. 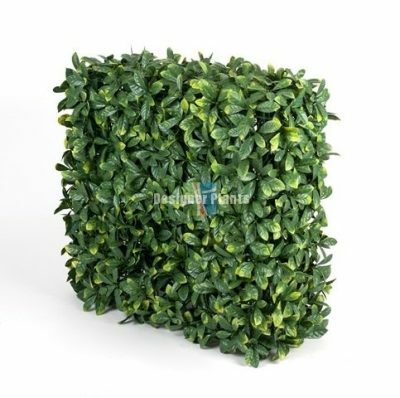 Instant Large Portable Boxwood Hedge Plant (Planters sold separately). 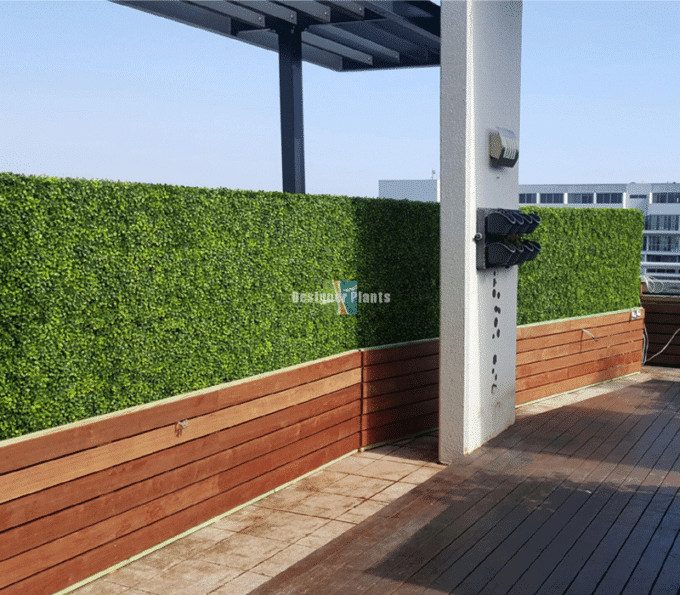 Whether you’re decorating your home, fence, balcony or wall, instant portable artificial boxwood hedge plants are an easy and instant way to get the results you want. They’re also perfect for offices, or shops to add some greenery indoors. 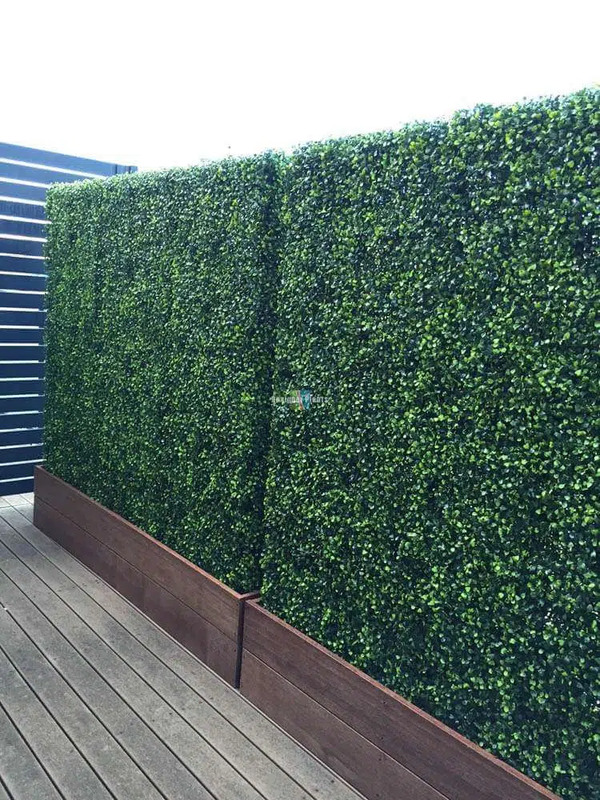 Our quality, portable hedge plants are perfect for gaining privacy, blocking out neighbors and creating some lush-all-year-around greenery. 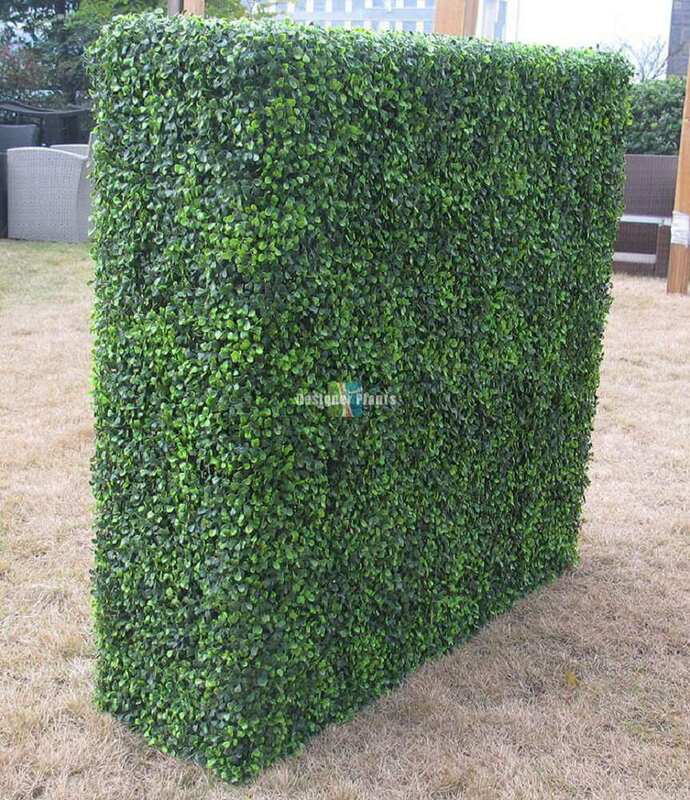 The portable boxwood hedge is also great for events. They are easy to maneuver, can be re-used and add that instant green effect that people will love and adore. Why pay for a gardener, risk your plants wilting and not knowing what to do when you go on holiday? 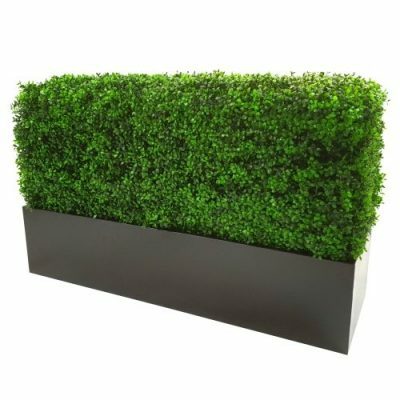 Keep it simple, save money and best of all have an amazing lifelike portable boxwood hedge. 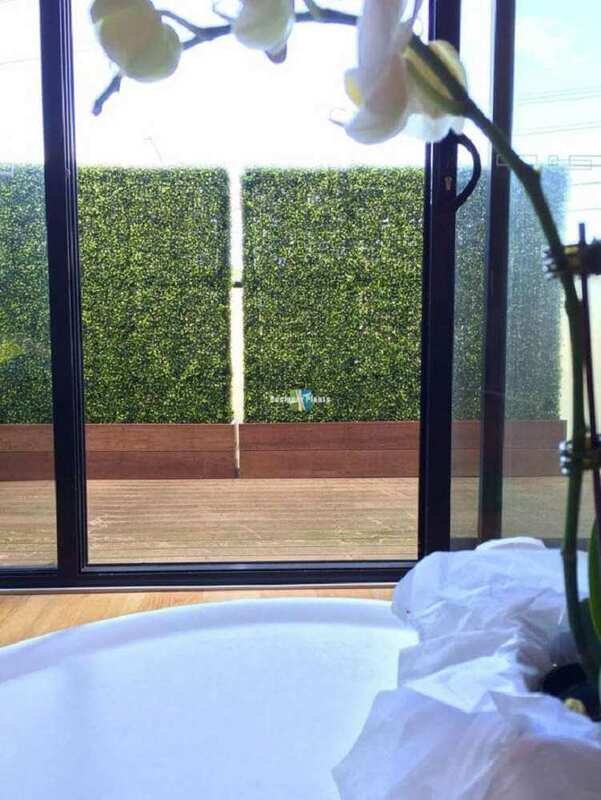 Perfect for hiding unsightly areas, beautifying unsightly areas, or regaining your privacy. (contact us today for custom orders). Great for weddings, parties, event hire, nd partitioning too. These instant hedges come in a box and are shipped as a flat pack (they can be assembled at a cost of $50 if you wish, and freight will likely increase due to the size of the parcel). 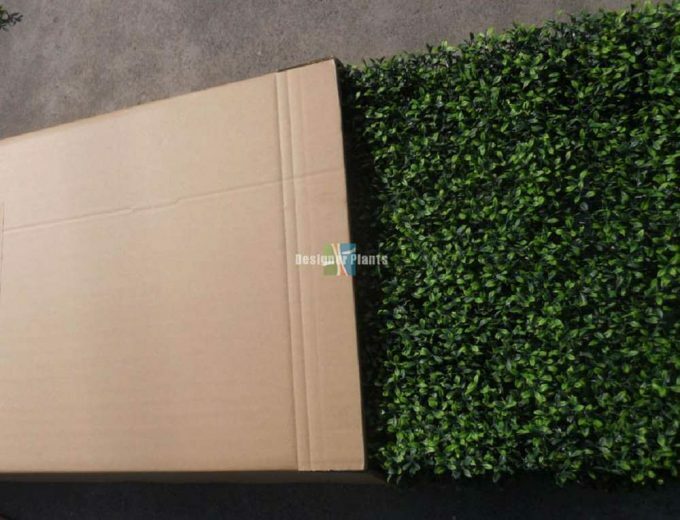 The portable boxwood hedge is easy to install.